All too often in today’s society, senior citizens are viewed as frail individuals. However, this is not always the case. While many older Americans suffer from chronic ailments and reduced mobility, sight or vision, their contributions to society are still worthwhile. And for some seniors, the feats that they are able to accomplish put many a young person to shame. On September 2, 2013, 64-year old Diana Nyad completed a 110 mile swim from Cuba to Florida – that’s 53 hours of non-stop swimming while being bombarded by stinging jelly fish and harsh ocean conditions. But Diana’s not the only senior out there showing off her stuff. 95-year-olf New York resident Tao Porchon-Lynch is certified as the World’s oldest yoga instructor and is said by doctors to have the strength and stamina of an individual at least half her age. Representing the guys, 71-yeard old Morgan Shepherd is the oldest racecar driver to ever compete in a NASCAR Sprint Cup event. For more than 40 years, Shepherd has been pursuing his NASCAR dreams and he’s not about to let age stop him now. Each of these individuals proves that getting older doesn’t have to mean giving up what you love. While Diana, Tao and Morgan are exceptional examples of senior strength and health, there are resources to help all seniors maintain a hobby or passion. Not all seniors want to partake in marathon swimming or hosting weekly yoga sessions, but many would like to go to aerobic classes, daily walks or keeping up with a local quilting or hobby club. The problem, however, is that due to a lack of transportation or drive to get out on their own, many seniors are left feeling limited. While family caregivers can provide support, most have their own responsibilities to tend to that can cause timing conflicts. One solution is enlisting the help of a homecare agency using a homecare software or homecare system, like ClearCare Online, to help manage the care of their clients. For instance, Bob is a 77-year-old man who has always loved going to the gym each morning. He’s no body builder, but his 7 am workout group spends some time on the exercise bike and lifting light weights. However, with failing eyesight he no longer feels comfortable and his daughter is busy taking her kids to school each day at that time. With a homecare aide, scheduled via a homecare system, Bob has been able to pick his routine back up. Each morning at 6:30 am, his companion caregiver arrives after receiving an automatic email and text reminder the evening before from the ClearCare Online homecare software and homecare system about her shift with Bob. She calls to clock in to the homecare software upon arrival, and makes sure Bob has had his breakfast – one of the tasks recorded for her in the homecare system message. After a breakfast shake and a piece of peanut butter toast, Bob and his caregiver head off to the gym. When they come back home, another call to the homecare software checks off the task of a gym workout and the caregiver assists with some light housekeeping and preparing lunch before leaving for the day. While Bob otherwise may not be someone who was interested in homecare help, with a dedicated caregiver and care scheduled with ClearCare Online’s homecare software and homecare system, he’s able to stay active even when a new condition threatened to keep him down. 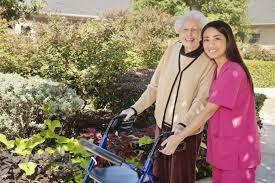 What could the help of homecare do for you or your senior loved one? *Bob is a fictional character.